Sotheby’s colourful spring jewels send sales soaring. The jewellery auction season got off to a flying start this week when Sotheby’s Fine Jewels auction achieved a final total of more than £3.6 million. Many jewels exceeded their pre-sale expectations including a Fancy Intense yellow diamond ring estimated at £45,000-65,000, which sold for £77,500. Two sapphire and diamond pieces from the 1930s led the auction on 15 March with a ring selling for £112,500 and a bracelet achieving a final price of £87,500. 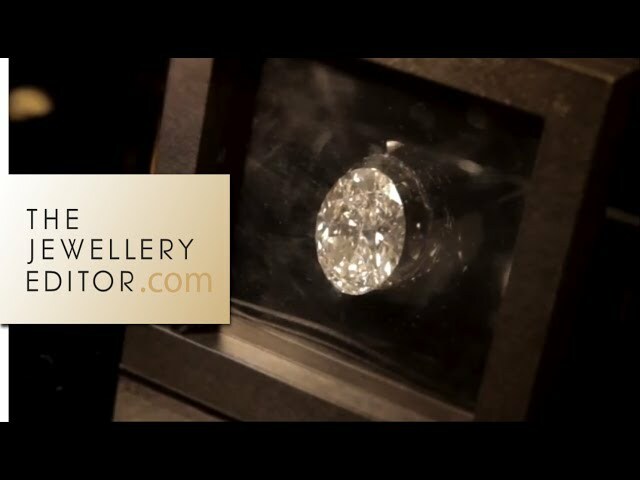 A Cartier diamond ring featuring a 3.04ct pear-cut diamond with tapered diamond shoulders also exceeded its £20,000-30,000 estimate, with a final selling price of £40,000. A Nardi brooch and clip earrings set, which once belonged to fashion boss Hélène Rochas, more than doubled its pre-sale estimate to sell for £11,875, as did a Janesich moonstone and diamond necklace that fetched £20,000. Tiffany jewellery always attracts attention from potential bidders and a pair of gold cufflinks in the shape of frogs with a matching tie pin sold for £3,500. Featuring more than 370 lots, the first Sotheby’s London jewellery auction of 2016 presented an impressive selection of jewels dating from the 19th century to the present day. In keeping with the spring theme, the line-up was bursting with a kaleidoscope of colourful gemstones including rubies, emeralds, sapphires and coloured diamonds. Legendary European jewellery houses including Van Cleef & Arpels were also well represented, along with American jewellers Raymond Yard and Marcus and Co. Auctioned off at Sotheby's: an aquamarine necklace, a ruby ring, an emerald ring, and a yellow diamond ring. Lot 72: gold Tiffany frog cufflinks and tie pin, which sold for £3,500. Lot 185 and 187, a Cartier yellow diamond ring and a 3.04ct diamond ring, the latter of which sold for £40,000. Lot 371, a Janesich diamond necklace with a carved moonstone, sold for £20,000. Lot 317, a Nardi brooch featuring jadeite, coral and diamonds with matching ear clips, sold for £11,875. Lot 80, a colourful Cartier brooch from the 1950s. A sapphire and diamond ring, claw-set with a hexagonal-shaped sapphire weighing 17.84 carats, sold for £112,500. This sapphire and diamond bracelet, of openwork geometric design set with sapphires diamonds, sold for £87,500.